Ugh, another super cold dish! I’m so tired of eating cold food here – I could have just gone out for ice cream. And the service was bad, so there really wasn’t much going for this place beyond the beer. 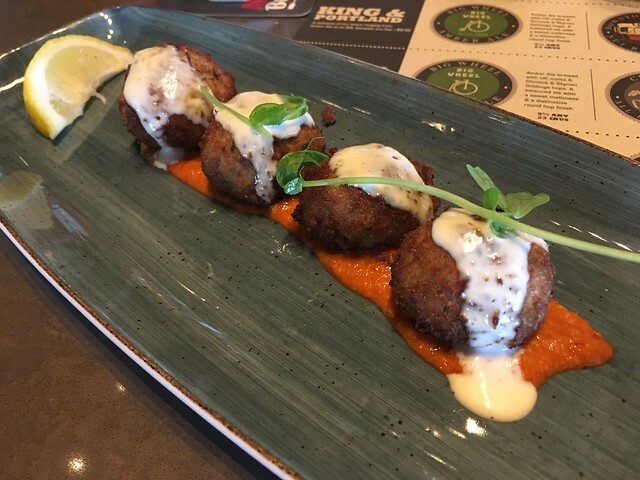 This entry was posted in Amsterdam BrewHouse and tagged crab, croquettes, food, seafood by vicentesf. Bookmark the permalink.